The Brits have been responsible for some of our favorite supercars, and we love them for it. Think of supercars and you'll likely conjure up images of Italy's finest. After all, Italy is home to Ferrari, Lamborghini, Pagani and Maserati. But while most exotic sportscars come from Europe, not all of them are made in Italy. Bugatti is based in France, Porsche in Germany and Koenigsegg in Sweden. But some of our favorites come from England. Some of these automakers focus on more mainstream cars and create sportscars as halo models, others are singularly devoted to high performance. But all of them are awesome. We start with the only British automaker that can really bring the fight to the Italians, and that's McLaren. Growing out of one of the most successful Formula One racing teams on the grid, McLaren has branched out into road cars with such high-end exotica as the F1, the SLR, the and the . While the previous two depended on engines supplied by German automakers, McLaren partnered with Ricardo to develop its own 3.8-liter twin-turbo V8 to power its latest generation of supercars. But whichever McLarens you're talking about, the bottom line is the same: some of the fastest, most capable and most desirable cars ever to come out of Great Britain. Aston Martin's products might not always qualify as supercars as much as they are luxury grand tourers, but some of its vehicles have made the jump into proper supercar territory. The previous Vanquish diced it with the Ferrari 550 and the new one is a rival to the F12. The V12 Zagato is as , and the latest V12 Vantage S propels the company's smallest model into the 200-mph club. But even those were eclipsed by the one million-dollar hypercar Aston has ever made: the One-77. With a 750-horsepower V12 nestled into a carbon monocoque chassis, the . Jaguar is mostly focused on sedans and cabrios, but it has supercar blood coursing through its veins. The Coventry automaker's adventures in supercar territory started when it teamed up with Tom Walkinshaw Racing to produce the Le Mans-derived, carbon-pioneering, 450hp XJR-15, of which only 50 were made. Next came the XJ220, which ditched the V12 for a twin-turbo V6 with 542 horsepower – enough to send the super-cat to a top speed of 213 mph, making it one of the fastest cars of its time or of any since. 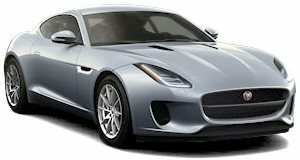 Jaguar planned the with a hybrid turbine powertrain to take its place nearly two decades later, but the project was ultimately shelved. Lotus may be focused on more attainable performance machines now like the Exige and Evora, but there was a time when the Esprit was a genuine competitor to Ferrari. Over the course of , the Esprit went from a 2.0-liter four with just 140 horsepower to a 3.5-liter twin-turbo V8 with 350 hp. The original design was penned by Giorgetto Giugiaro but was tweaked over the years by Peter Stevens (who also designed McLaren F1 and Jaguar XJR-15) and Julian Thomson (who penned the Jaguar C-X75). The ultimately over-ambitious Dany Bahar planned to revive the Esprit, but the company's new owners fired him and scrapped all his grandiose plans.